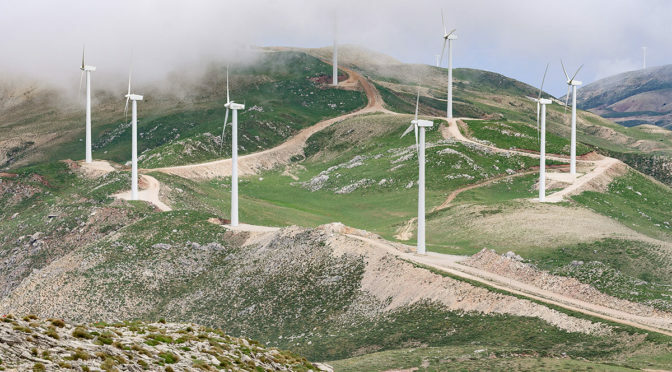 The Greek Regulatory Authority for Energy (RAE) has awarded seven wind projects with a total capacity of 171 MW in the country’s first onshore wind auction. The price range of the winning bids was €68–€72/MWh. The weighted average price came in at €69.53/MWh. The auction was over-subscribed, with 14 wind projects with a total capacity of 308 MW bidding in. Of the winning bids, four projects are in Northern Greece, two in the centre of the country and one on the island of Andros. Greece announced plans in May 2018 to auction 2.6 GW of renewable energy capacity by 2020. This will be in addition to the 2.6 GW of wind capacity already installed in Greece. WindEurope Chief Policy Officer Pierre Tardieu said: “It’s very good to see Greece has implemented an auction system. The prices for wind are lower than expected, which shows the industry is regaining confidence in the Greek market and anticipates costs reductions in the short term when these projects will achieve financial closing and contracting. It also shows wind should play a significant role in decarbonising Greece’s energy system. These projects will unlock new investments in the Greek economy and create jobs in the supply chain. “But Greece is not there yet. Wind deployment can get even cheaper and Greece can benefit even further from recent major progress in wind technology. For this, improvements need to be made to lower the risks and costs of capital. We need to see clarity on renewables spatial planning, plus further visibility on wind deployment volumes, particularly post-2020. We call on the Greek Government to include ambitious commitments on wind – onshore and offshore – in its national energy & climate plan that it will need to submit by the end of 2019”.